Design and Develop an Automated solution for Sanity Testing for various repeatable tests. Develop the Automated Regression suite. Design & execute Regression Test Suite using frontend & backend test scripts. Typically requires a minimum of 4 years of experience. Either Engineering or technical graduatesStrong analytical and communication knowledge. Strong Domain/Service Discipline knowledgeStrong knowledge in MS Office Mainframe SQL. Good understanding of all standard Procedure Documents. Strong team player Understanding of overall HW domain is preferred. Requirement/Analysis/ Testing ability to analyze and understand the system (BA7/RKS) data. Comprehend Business Requirement Documents (BRD) & DomainoCreate data mapping and validation. Test Cases expert in writing SQL queries & procedures for test execution and fallout analysis. Good Knowledge of Quality Centre and Testing Concepts. 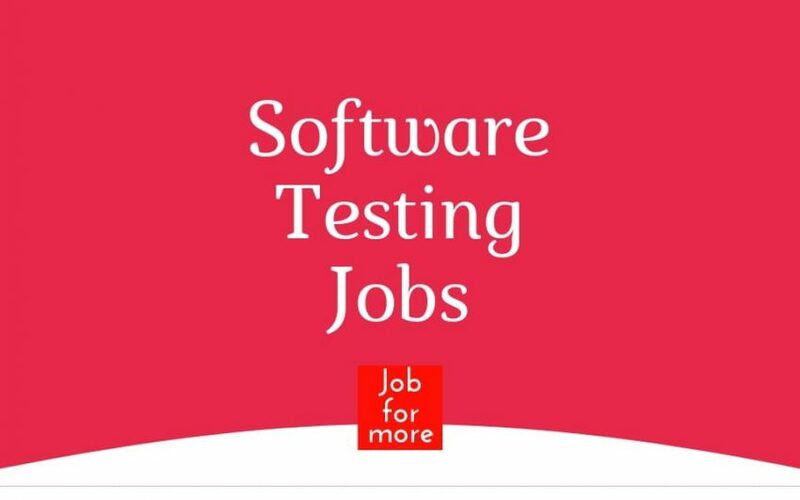 PrimeSoft is seeking test automation engineers with experience in automation testing using tools like Selenium, Appium, Protractor, etc. with the solid understanding of SDLC process, test automation concepts, automation tools, and frameworks and scripting languages. Tolichowki, Hyderabad, India – 500 008. Cloud Development – Lambda Services, Node JS, REST, AWS. Working knowledge Jenkins Client/Server setup. We are hiring for Senior Java Developer for One of a Product Based Client in Bangalore. Exp on Angular Js/2/4 is essential, react.js / node.js. practical experience to integrate the UI components and Responsive website design with API. ability to guide junior UI developer. any other Java/J2EE experience will be added advantage. Minimum 2+ years of experience into Core Java, Spring and Hibernate framework. Must be comfortable for F2F interview on 16th February (Saturday). Good experience into C# with Selenium web driver. Good experience into Core Java with Selenium Web driver. Experience into Web services testing & Groovy. Should have 4+ years of rich experience in the IT industry. Should be experienced in web-based and Client/Server applications with domains like banking applications and healthcare & Insurance. Expertise in Testing tools like Selenium, JIRA, Quality Center and ALM. Should have hands-on experience in Test Automation frameworks (QTP), Selenium with C#. Should have experience in ETL (Data Stage) testing performing data validation, count validation, duplicate validation, incremental validations on source and target. Should have experience in database testing and SQL testing (stored procedures, triggers). Should have hands-on experience in SQL/PLSQL. Should have 3 – 5 years of experience. Web application development and Infrastructure on the cloud. Analyze the root cause of a complicated and high scale IT environment problems. Research, debug and drive to the most appropriate implementation. Follow Micro Focus software code standards and procedures. Familiar with J2EE (Servlet, Struts, HTML) Advantage Knowledge and Skills. MSSQL and Oracle DB Knowledge (SQL Queries, Stored Procedures, Triggers, Cursors) is an advantage. Read, understand and debug big existing coded base of a complex product. Oracle is hiring Java Developers. Debug software project/products through the use of systematic tests to develop, apply, and maintain quality standards. Design, implement and execute test plans for new features and functionalities. Develop, modify, and execute manual/automated scripts and programs for testing. Coordinate activities which enforce quality improvements. At a minimum 2-4 years of hands-on experience in analyzing requirements and designing/executing test strategies, test plans, and test cases using an industry-standard test management tool. At a minimum of 2+ years of experience working with Automation Testing. Strong background in, and at least 2+ years of working in Selenium WebDriver, Java. Very strong knowledge & experience with various Software Development Life Cycle methodologies. Knowledge in JMeter is an added advantage. Knowledge on Linux is an added advantage. We, at Xoriant are looking for Software Quality Analyst for working on the CMMI L5 implementation project. We focus on bringing the right candidate on-board and encouraging them to use the latest technologies for identifying key talents. We invite you to join our team and be part of our growth story. Should have 2 – 6 years of project experience. Implementation knowledge of CMMI Dev and Services. Hands-on CMMI high maturity practices. Experience of working on Minitab and Crystal Ball. Supporting projects for QMS implementation. Collecting and collating Metrics and QMS data. Knowledge of SDLC and Agile methodologies.